This page describes how to install a Python package in a CoCalc project. CoCalc already includes hundreds of packages for several Python development environments. Related: Custom Jupyter Kernel, Setup Jupyter Extensions and Install R Packages. Which language version: 2 or 3? A short but complete example, such that we can verify that we properly installed the software. This example might be included in internal tests, to make sure future updates do not break that library. Your project must have the “Internet access” upgrade in order to download software from a remote repository (e.g. PyPI or Anaconda) to your project. The install command will not work unless you upgrade your project to have internet access. You can install additional packages yourself, but only at user-permission level. CoCalc accounts do not have superuser (root) privileges. Software must be installed into user-writeable parts of the filesystem, which are in /home/user (check the value of $HOME). 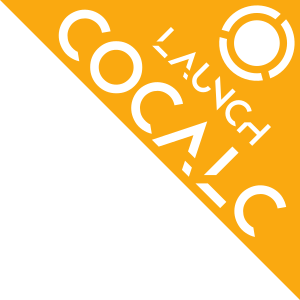 In a nutshell: a CoCalc project is a Linux user account under the username user. Therefore, installing software and libraries should usually be done in ~/.local (i.e. /home/user/.local), which is the canonical location for user installs. Furthermore, in case the documentation mentions to specify a custom “prefix” path, set this to ~/.local. Executables will install into ~/.local/bin and will work right away, because projects already include that path in their $PATH variable. In the case of Python 2, $HOME/.local/lib/python2.7/site-packages/ will contain the package you’ve installed. Similarly, this path will contain python3.5 for a Python 3.5 executable. Pip is the “Python package manager”. It installs packages hosted at PyPI.org. Python 2: use pip2 and python2/ipython2 – pip and python should default to these variants. Python 3: use pip3 and python3/ipython3. If pip requires that any external dependencies be downloaded, then your project must have internet access. You can avoid the need for --user flags if you work inside a Python virtual environment. See Virtualenv for more information. Inside that sage -sh environment, you can also run R to install additional R packages in Sage. This also works for other programming libraries. In case you run a Sage Worksheet, you need to restart the worksheet server (in the project settings) and then the worksheet itself via the Restart button. Conda is an alternative packaging system by Anaconda. It is mostly used for Python packages, but it can manage and deliver almost any kind of software. CoCalc provides a global environmet, which you can start by running anaconda5 in a Linux Terminal or a related kernel in a Jupyter Notebooks. To get going with your own setup for your own CoCalc project, you have to create your own environment and your ref: own kernel <anaconda-jupyter> . install “Microsoft’s Open R” (which is an enhanced version of R by Microsoft). Type conda create -n myconda -c mro r This creates a new local environment called “myconda” (name it as you wish) with the package “r” as its source coming from the channel “mro” (Microsoft’s Open R). Instead of that, you can add any other anaconda package in that spot. The example from the documentation is biopython, see http://conda.pydata.org/docs/using/envs.html#create-an-environment. When installing, it briefly shows you that it ends up in ~/.conda/envs/myconda/.... in your local files. Now that we have it installed, we can get out of this “root” environment via source deactivate or restart the session. In any case, you are back in the the normal Linux terminal environment. With Anaconda’s conda environment and software manager, you can create custom environments with specific versions of Python, R, and their packages. This is similar to capabilities provided by Python’s environment manager, Virtualenv. Open a new Jupyter notebook in CoCalc. Click on the Kernel button and look for your new kernel, “My mdtraj”, or whatever you used for display_name in kernel.json. If you don’t see your new kernel, scroll to the bottom of the Kernel menu and click Refresh Kernel List , and your new kernel should appear. Select the new kernel. You will now be running the environment you created with the conda create command.